The perspective of time gives us an advantage concerning the life of our Lord Jesus Christ, and none can overlook the power and authority with which both his words and deeds have resounded throughout twenty centuries. He has changed countless lives and the governments of nations. He is not responsible for the rash things humanity has done to satisfy its own desires, using his name as an excuse in many things because they had not been taught the whole truth. Where his teachings have been genuinely followed, miracles have ensued. During his brief sojourn, he taught us all the laws and principles present humanity needs. 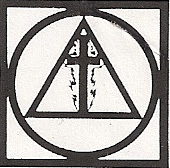 Through his acts he performed the greatest of all alchemy, which transformed the earth itself. 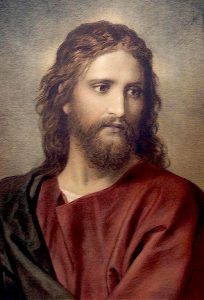 As the Son of God, the Christed One, he opened the way through himself and his atonement for mankind to reach unto the Grace of God Himself, and reclaim the divine gifts the Father had bestowed upon man in the infancy of His creation, when God created man as the only permissible Image of Himself. Mystery is a fascinating word. It immediately conjures visions of a veil to be pulled aside, or a package which must be opened in order to find out the delightful secret inside, which is there all the time but merely hidden from our view. The Christian teachings are simple; the only covering lies in man himself. He has coated himself with layer upon layer of error and deceit and confusion that must be peeled off to uncover the true and glorious Self within Him. But a mystery does exist, for until he does uncover the layers of error and deceit and confusion, he will never truly understand the simplicity of Jesus, the Christed One. Each new vista of understanding will only unfold as one lives and experiences the preceding step to the way, of which Jesus declared that he was the way. The way Jesus was talking about is following the same path, the vibration of his own being–going through the same realization, entering the consciousness of the Father through him, that the one seeking the way might conceive of a Creator or Father God. Accepting the way is to accept Jesus fully and to make a full attempt of taking on the consciousness of the Christos, of the Christ, that you might communicate with Him and thus sense the reality of God. It would take you to another realm of consciousness, to another world to which some day you will pass. For in so doing, you will certainly find a higher realm of consciousness, and be able to physically discern the fact that you are on the path through reaching this higher purification and grace. For even at this level, the way is not visible to the physical eye, understanding and vision, but spiritually perceived with spiritual sight. When Jesus was alone with the twelve disciples, they asked him, “Why do you speak to the multitude in parables?” And he answered them, “Because it is given to you to know the mysteries of the kingdom of heaven, but to them it is not given. For whosoever hath, to him shall be given, and he shall have more abundance.” The only reason they “had” anything was because they earned it as they went along. You cannot force this. And so it is with the Mysteries. The Mysteries are only revealed to those who join their lives with Christ, and they only may understand them. For as the individual receives the light of the Christos, it then becomes a mystery because others cannot see what is so plainly before them. The Christ not only was, but also still is. His words continue to ring true. They are the words from the Father that he passed to us, and are true, and they are also living in this day. For God had made known to us in all wisdom and insight the mystery of His Will, according to His purpose which He set forth in Christ as a plan for the fullness of time, to unite all things in Him, things in heaven and things on Earth. All religions have been inspired by the Cosmic Christ, the great Being which carries the unifying Word Principle of God as the precept of His personality. This accounts for the similarity of the work and writing of all the great world Teachers. The love power of the Cosmic Christ has united them even as pearls are strung on a golden thread into a single chain. This is the Pearl of Great Price of the great world Teachers. Every race religion and race teacher has been preparing the way for the coming of the Christ to the earth. This does not mean that the other great religions should now be dispensed with. They still have important work to do for the people to whom they were given. Nor does it mean that the Christian religion will ever be universally adopted as it is now understood and practiced. It is as yet but a suggestion of what it will be before the present epoch shall have passed over, during which time the Christian religion will steadily grow in beauty, influence and power.